The Millers’ captain has been one of the standout players for the Championship battlers this season. But the pain of serving a three-match club ban was tempered somewhat as Vaulks made his international debut for Wales last week. 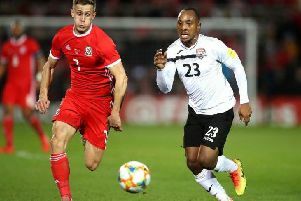 He started, and impressed, in the 1-0 win over Trinidad and Tobag, before coming on as a substitute for Ryan Giggs’s team in their Euro 2020 qualifier against Slovakia earlier this week. However, the 25-year-old will be back watching from the stands tomorrow when the Millers resume their fight to avoid relegation from the Championship with a trip to Derby County. It is the final match of Vaulks’s three-game suspension for his red card at Sheffield United earlier this month. In his absence Rotherham earned their first away win of the season – 2-1 at QPR – and narrowly lost 2-1 to leaders Norwich City. Matt Crooks, Semi Ajayi and Richie Towell have all impressed in the Millers’ midfield in the last couple of games and manager Paul Warne says there are no guarantees Vaulks will walk straight back into the team for next week’s visit of Nottingham Forest. “Definitely not, and he will know that,” said Warne. “In fairness we played really well at QPR without him, we played really well against Norwich without him. “It’s another tough ask at Derby, but if the lads perform at the level I have no issues at all about not putting Will straight back in. That’s the same for everybody. It’s nice to see our long throw going on the international stage. And there was no issues with the towel – as there was at Bramall Lane – so that’s better. Vaulks has quickly settled into international football, his quality on the ball obvious, combined with a dangerous long throw that the Millers have used to their advantage this season. “I texted Will after both the games,” said Warne. “Congratulated him, gave him a bit of stick, saying it’s nice to see our long throw going on the international stage. And there was no issues with the towel – as there was at Bramall Lane – so that’s better. “I think for Will it’s a massive achievement, although he doesn’t know the national anthem,” joked Warne. “I think he will be really pleased, even more so that they put him on in the second game when it was a real game – I don’t mean that disrespectfully – but it was a qualifier. “The fact they put him in was massive kudos for Will. I am really pleased for him,” added Warne, who still hopes to convince his captain to sign a new long-term deal beyond next season. Planning is already underway despite the uncertainty over what division Rotherham will be playing in next season. 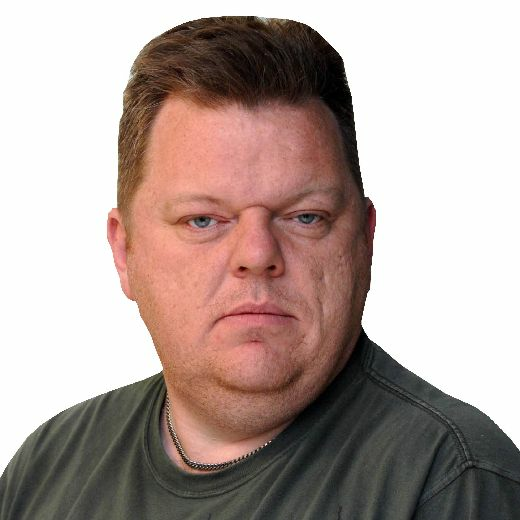 A new head of recruitment and chief scout is due to be named by the Millers on Monday. French winger Julien Lamy, 19, is currently on trial at Rotherham, looking to secure a permanent move. “The winger I have got in training again (yesterday and today), and I will probably see him again next week,” confirmed Warne. “I really like him, I just need to make sure we can help and improve him. Derby and Rotherham are at differing ends of the Championship ahead of tomorrow’s encounter, but it is actually the Millers who are in better form going into the game. Frank Lampard’s side have only won once in eight games, while Rotherham have lost just twice in nine outings. Not that Warne will be paying too much attention to the form book. “I am not a massive one for form,” he said. “As good a form as we were in it doesn’t count for anything now. The first 20 minutes of the game on Saturday will count. “They probably aren’t as electric as they were early season, and their expectations might have changed a little bit. “No doubt Frank will have them wired up, like I will have our lads wired up. Victory tomorrow would complete a rare league double for Rotherham after Ryan Manning’s penalty earned the hosts a 1-0 win at the New York Stadium back in September. Warne said: “We played really well that game. It was one of those games when we played well and won, no one can say we didn’t deserve it. “It was a good marker. I know we had beaten Ipswich at home, but that result made us believe we belonged in this league.